D&S Industries is a family owned & operated business that provides full service commercial cleaning and property maintenance. With over fifteen years of industry experience we are confident that we can fully undertake any and all of your cleaning and maintenance related projects. Hands on management and a quality staff makes us a determined and knowledgeable company that takes customers needs seriously. D&S Industries is dedicated to building long and beneficial relationships with our customers. We are committed to providing superior quality service and complete customer satisfaction. With our competitive rates you can be sure to get the best quality of work for the most affordable price possible. Our clients are extremely important to us and we are completely dedicated to making sure that all their needs are met. 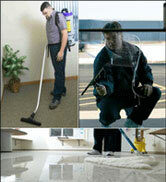 Your business will never be taken care of better than with D&S Industries. 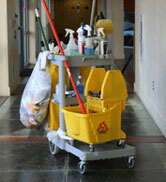 Our range of services provides you with clear solutions keeping your business looking professional and well-maintained. 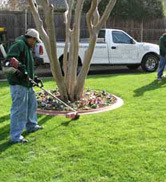 Taking care of your business inside and out, D&S Industries believes that first impressions are everything. With D&S Industries, you won't have to worry about anything other than your own success. We take pride in our work and it'll show when you see the quality of the work that we do. With so many people taking advantage of our great customer service and our exceptional quality we encourage you to contact us today.